What a way to spend a birthday, weekly shopping in the morning and then photographing a couple of sessions at Party in the Park and some of the birds of prey as well. The first part of the afternoon was spent photographing one of the ballet routines for one of the mums. I’m not permitted to upload those images but it was interesting trying to shoot one of the younger girls at the back of the stage and in deep shade, whilst all around the sun beamed down. Despite the conditions, I captured a few reasonable images and the best of the bunch is sitting on my desk drying ready for framing a little later. 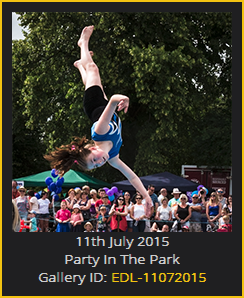 It was then off to Eclipse and the main reason for me being at this years Party In The Park. Eclipse would be performing three routines and they began with Acro followed by one of the first public outings for the Cheer squad. 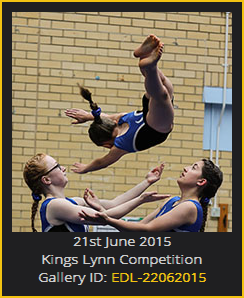 Both were shot wide angle to try to capture the full width of the routines whilst sitting relatively up close. Some of the parents got some good shots also, so I think that we have all the bases covered. The final routine was the senior display squad. This was all trampette work and I took advantage of some decent light for once and again got in really close with the wide angle lens to get some good action shots. I opted for a smaller F-Stop to get a good depth of field and next time I’ll wind it out a little more to blur the large crowd that was watching. However, I like the images with the crowd because it gives some depth and purpose to the images at this well attended event. I was unable to stay for the second falconry display, but whilst there I took the opportunity to grab a few images of the birds or prey on their stands and resting between flying sessions. some of those images will find their way onto my website very soon and maybe one or two onto my Flickr feed. All in all, another successful day out with the camera and roll on the next opportunity. It’s been a little bit of a rushed job, but I know that a number of the kids wanted to see the photographs online ASAP. 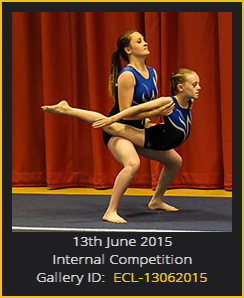 They are now available in the usual Eclipse Gymnastics gallery on http://www.m4photo.co.uk. As usual, please ask one of the coaches for the username and password. For child protection reasons, I am not permitted to give it out to anyone because I don’t know everyone associated with the club or a child at the club any longer. I hope that you enjoy the photographs and I plan to be at the club on Tuesday, Wednesday and Thursday evening with the laptop and printer. Just tap me on the should if you want to look at anything or purchase an image. Finally well done to all the kids who competed today. I have watched many of you develop over the last few years and the standard just gets better and better. The routines were awesome and the first timers did just great. Playing with Black and White. Following a few discussions with a few people I have been playing around with Black and White for a couple of my sports images. I have uploaded two images to my 500px page and I have been getting some nice feedback from people online, via email and offline. The image above is one of my favorites. It was taken as I was turning around and I had a split second to capture the togetherness of the two girls as they were warming up for the main gymnastics session. The focus is slightly off of their faces and owing to the low light available, the depth of field was very shallow. Despite the slightly soft faces, I really like this image, not least because it really encapsulates the friendliness of the whole club. You can view a larger resolution example and also a black and white image of an archer in a similar casual moment on my 500px page.